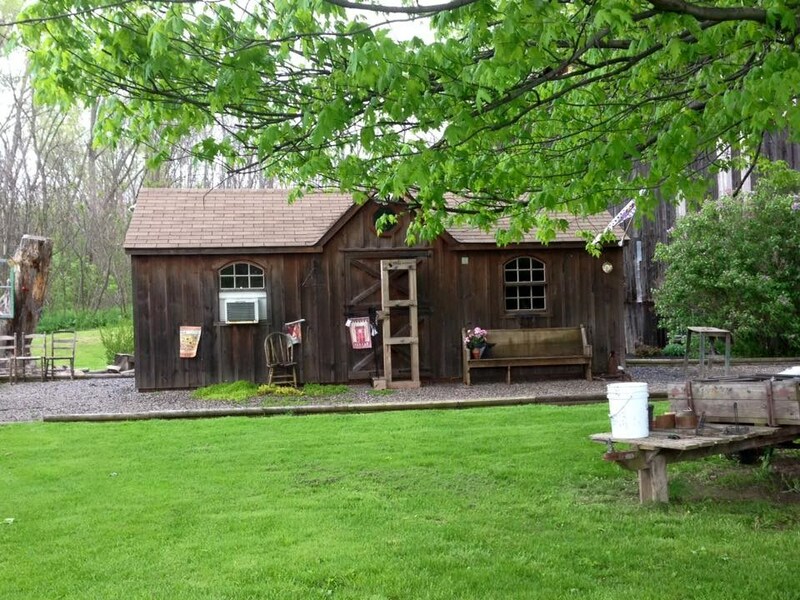 Country home for sale in the Finger Lakes region of New York State very near Lock #25 on the Great Erie Canal! The property is not on the canal nor does it border the canal, but is just a few yards away, please see aerial map link below photos. The Erie Canal, begun in 1817 and finished in 1825 is an engineering marvel and a national treasure. “New York has long been a state of big ideas and the kind of can-do spirit that turns them into reality. Credit for this entrepreneurial attitude is due, in part, to a nationally-significant treasure: the Erie Canal. A once in a lifetime opportunity to own an 1890 Colonial home lovingly cared for on 5.4 acres, just a few yards from Lock #25 on the Erie Canal, property does not border the canal, please see link to aerial map below the photos. 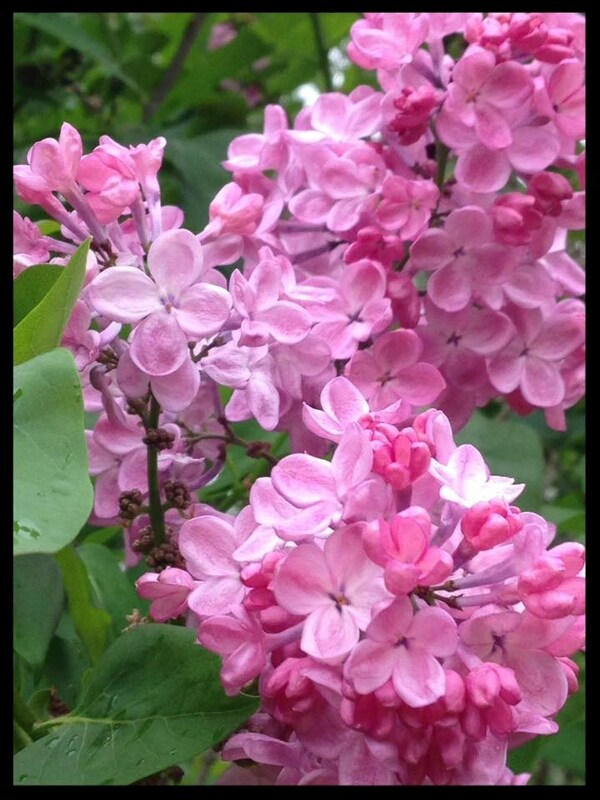 The owners ran a small lilac buiness from the proeprty, selling lilac rootstock transplanted into containers. 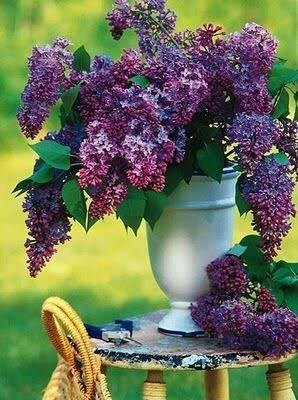 Currently growing on the property are 100 lilac bushes in 35 different varieties, the business is no longer running, but sellers are willing to teach the business to a new owner. The property offers a peaceful and serene setting, just what home is supposed to be. Believed to have been the Lockmaster's home on the original tow path, this 1890 colonial has been lovingly cared for. 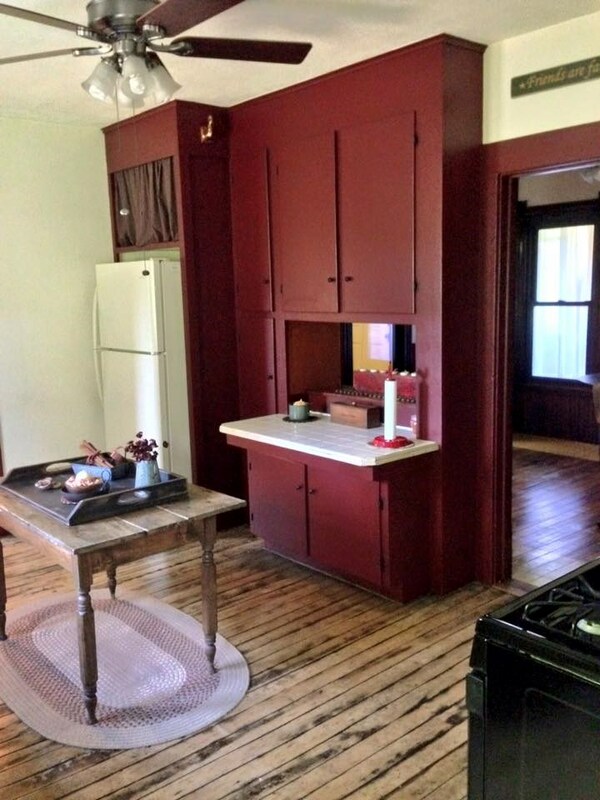 The original plank floors remain throughout the house, the doors and hardware are all original and the kitchen cabinets are the originals. Stepping into the kitchen or dining room or ascending the stairs to the upper level bedrooms, you can just feel the history. In 2009 a large addition was added to the house and was designed to match the period charm of the home. The room is adorned with hardwood tavern walnut floors, built-in bookcases and cabinetry, coal stoker stove, custom made blinds, there are outlets under each window. The house is 200 amps electric and has been mostly rewired. Even with maintaining the period charm there have been many updates, all new double pane vinyl windows throughout, the house has been doubly insulated, the roof is just a few years old, the house is equipped with all new gutters, with barrels to catch and store rain water for watering the landscaping. The house has a generator and a sump pump, but it is a very dry basement and a brand new septic system and leach field-just five years old. The property also has a small outbuilding, very charming, that the owners used as a gift shop when they operated their lilac business. 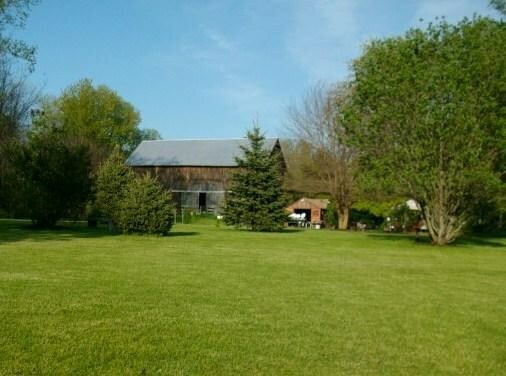 There is a large period barn, with a metal roof, used for storage, but adds to the charm of the property. In front of the barn is a pond, a favorite for ducks. There are approximately 3.4 acres of woods that boast game birds and guinea hens, but can be used for your own enjoyment. Not only is this property just a few miles drive from the Finger Lakes Wine Region and the Cayuga Lake Wine Trail, it is within minutes of the Montezuma National Wildlife Refuge: https://www.fws.gov/refuge/montezuma/ Bald Eagles: Today, Montezuma National Wildlife Refuge boasts six active bald eagle nests. The infamous trio's nest can be viewed from Armitage Road, located off of NY State Route 89. The trio has nested on the refuge since 1987; the two males are from a reintroduction program conducted in the late 1970s. This home is approximately equidistant between Rochester and Syracuse, two major Upstate, NY cities with international airports and numerous universities, colleges and medical centers. 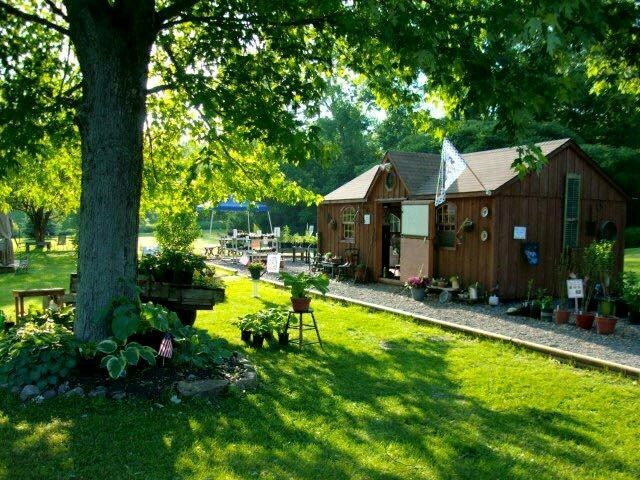 Lastly, an approximately 28 mile drive south to Ithaca, NY home to Cornell University, Ithaca College and Ithaca's famous Farmers Market located along the Cayuga Inlet. Your opportunity to live in a historic home, surrounded by untold significant historical parks and bodies of water that are ecologically significant to our state and nation, i.e. Cayuga Lake, the longest of the Finger Lakes and Cayuga Lake Wine Trail, Montezuma National Wildlife Refuge and Lake Ontario. Give Jennifer Persoon a call, 607-592-8871, she'd be happy to discuss this lovely property with you. Jennifer comes to the business with the unique perspective of owning and operating a dairy farm with her husband Jack, in Interlaken, NY, Seneca County, in the heart of the Finger Lakes Region of New York State. She farmed with her husband full time for 25 years and raised their two children, Jacob and Jessica, who are now adults, Jacob is married with four children and serving in the United States Army and Jessica serves in the New York Army National Guard. Jen comes from a real estate family, her parents Tom and Cathy Mullen opened a United Farm Agency franchise in Waverly, NY in 1971, she can remember stuffing flyers with her five siblings for bulk mailings. Somehow, her parents raised a family of six children by selling land for $200 and $300 per acre. Tom and Cathy own a United Country franchise in Waverly and her brother Matt and sister-in-law Terese own a United Country franchise in Ithaca, NY. Jen works primarily out of the Ithaca office. Jen received a Bachelor's degree from Virginia Tech in Dairy Science, spent three years as a Dairy Extension Agent with Cornell Cooperative Extension and then farmed full time with Jack after their marriage. With Jen's farming experience she brings a unique perspective when working with buyers and sellers, she understands the agricultural industry and understands that a farm is not a typical business. In her free time Jen likes to spend time with Jack on the farm and traveling to visit their four grandchildren.